12:30 pm, November 22, 1963 three shots rang out in Dealey Plaza that would forever change the world. In an instant the 35th President of the United States, John F. Kennedy was gone and in many ways the spirit of youth and optimism that had filled the post-war United States went with him. Half a world away in Addis Ababa my grandfather, Jack Asire, had just completed an exhausting week of work. Jack was the General Manager of Ethiopian Airlines, a position that in today’s vernacular would be known as president. Jack was actually a TWA management pilot who had accepted a temporary assignment to Ethiopia as part of a program implemented by TWA to help developing nations begin their own airlines. The big event of the week had been the opening of the new airport terminal in Addis Ababa. This was an important day for a nation that in just two decades had seen it rise from the wreckage of an Italian occupation to become one of the leading nations of Africa and the site of the headquarters of both the United Nations Economic Commission for Africa and the African Union. While the previous terminal had been little more than run-down buildings and grass huts, this terminal was a new shining icon for a country who was taking its place on the world stage. 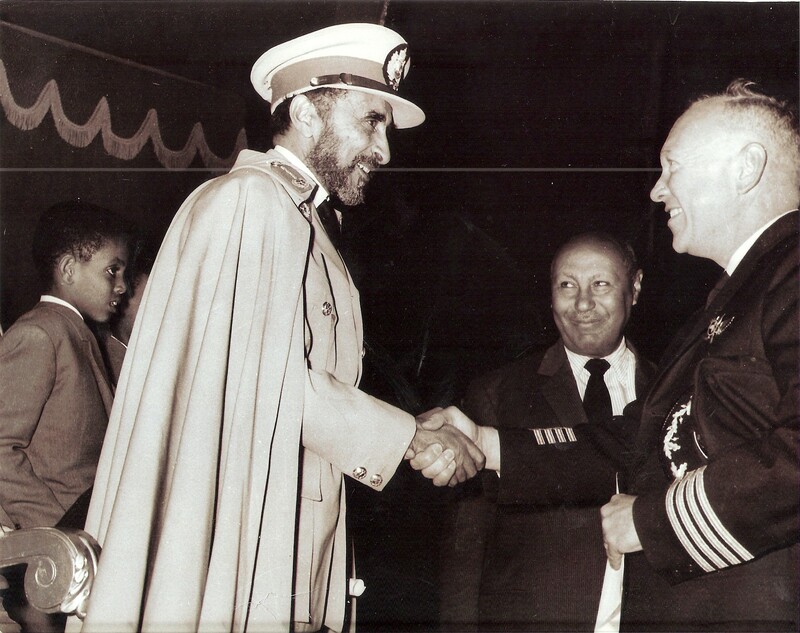 The highlight of opening day was an official visit by His Imperial Majesty, the Emperor Haile Selassie. As General Manager of the airline it was Jack’s responsibility to conduct the Emperor’s tour. The tour lasted several hours and the Emperor was well pleased with the new facilities. Upon the completion of the opening day ceremonies the Emperor headed down to Dira Dawa to attend the military academy’s graduation while my grandparents planned on taking the weekend off to relax. When word of President Kennedy’s assassination reached Addis Ababa everything changed. The Emperor immediately returned to Addis and preparations began for him to attend Kennedy’s funeral in Washington DC. As Ethiopian Airlines was just entering the jet age they only had two 707s. This of course meant that schedule changes were necessary to free up an airplane. After a great deal of work redoing schedules and finding an extra crew to fly the flight my grandfather thought that he was finally finished with this project, but then the call came that the Emperor had asked that he personally fly the flight. My grandmother raced to the airport with his suitcase and shortly after the Emperor returned from Dira Dawa they took off for Washington D.C. Needless to say it is a long distance from Addis Ababa to Washington, so fuel stops in both Lagos and then Dakar were necessary. It was late at night by the time they took off from Dakar and began the final leg of their journey. Sometime after they had reached cruising altitude Ed Korry, the US ambassador to Ethiopia, came up to the cockpit and told Jack that the Emperor was very upset, he was pacing the floor and refused to even sit down. Many people had tried talking to him, but to no avail. Ambassador Korry and Prince Eskendra Desta, the Emperor’s grandson felt perhaps the Emperor would listen to Jack. Jack went back into the cabin and found a mighty Emperor that had been reduced to tears. The Emperor took his hand between his and asked “How could this terrible thing happen in America?” Jack answered: “I must believe that out of all evil must come ultimate good.” He considered it and said “maybe you are right.” Jack led him over to the bed that had been prepared for him and they started talking about God, man, and our responsibilities. As the emperor grew calmer Jack asked him to lie down, that tomorrow would be very difficult and he must get some rest. Jack covered him with the blanket, and they say he went right to sleep. While the Emperor slept the pilots continued their work. This was a long flight, well in excess of nine hours. For the jets of the day this meant that they would be very short on fuel upon arriving in Washington. As they neared the US coast a decision had to be made, divert to the naval station in Bermuda for fuel, or continue on to DC. While the safest course action would have been to divert to Bermuda, doing so might have meant that the Emperor would miss the President’s funeral. After coordinating with air traffic control and being assured that they would receive priority handling upon their arrival in Washington; the decision to continue was made. As the flight came within radar contact they were cleared direct to the airport and the subsequently cleared to land without delay. There wasn’t a lot of fuel left in the tanks, but the Emperor was in fact one of the few foreign dignitaries that made the funeral in time. The flight home made stops in Madrid and Aba Tenna D Yilma before finally landing in Addis Ababa. The week following Kennedy’s funeral Jack and the other pilots that were on the flight to the US were called to the palace. His Majesty gave them all watches, valued in accordance with their rank. At first Jack did not realize that he in fact had a watch. His Majesty handed it to him and said “It’s a very little package for such a big man.” It looked like a very fine card case, so Jack thanked him and didn’t open it. 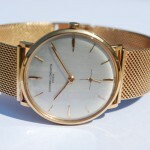 When he got home and showed it to his wife Evelyn they opened it and there inside was an 18 karat gold Vacheron Constantin watch, one of the most exclusive watches made. The back is engraved with the Emperor’s personal monogram under an Imperial Ethiopian Crown. My grandfather returned to the US the following year and finished out his career at TWA as a 747 pilot based at JFK airport in New York. Ironically the Emperor’s life would also be cut short only eleven years later by assassination. 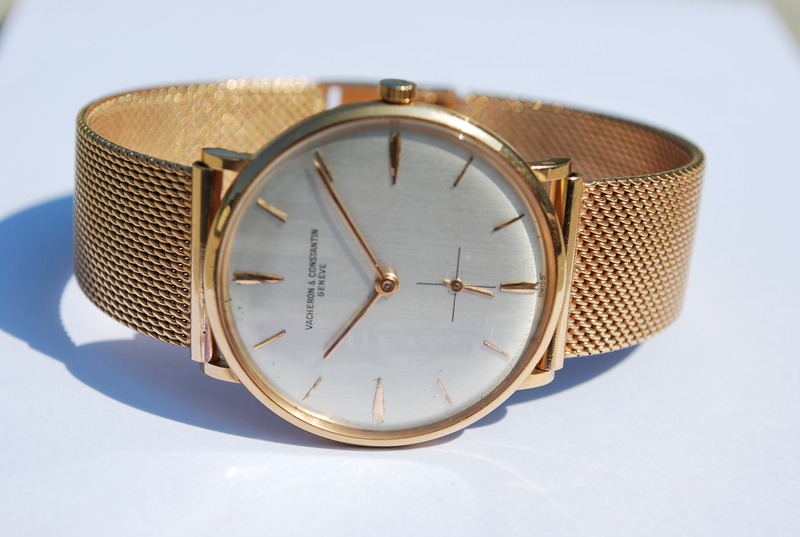 When I received my first airline job offer from Piedmont Airlines my grandmother chose to give me the Vacheron Constantin watch. Needless to say I have worn it only a few times. When I look at that watch I see not just an exclusive watch, but the stories of three great men, two world leaders whose times were cut short by assignation and my grandfather who comforted an Emperor and enabled him to pay his final respects to one of our nation’s great leaders.